Our range of commercially rated diesel engines are designed from the ground up for marine applications and offer maximum power and unrivaled torque combined with excellent fuel consumption in a compact and reliable form while meeting the latest EPA Tier 3 requirements for commercial operation. 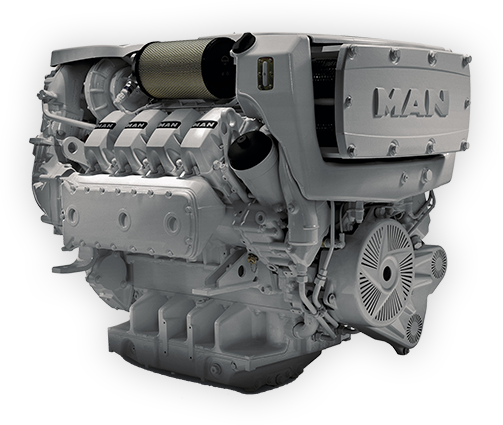 RDI Marine engines manufactured by Germany's leading mechanical engineering company MAN SE are the direct modern heirs to a century of marine engineering that began with the very first engines built by Dr. Rudolf Diesel. Our technicians specialize in MAN and Nanni engines and offer world class service and support 24/7. Powerful and efficient engines backed by first-class support. Because we specialize in MAN engines, our technicians are highly trained to handle all MAN engine repair or service requirements.